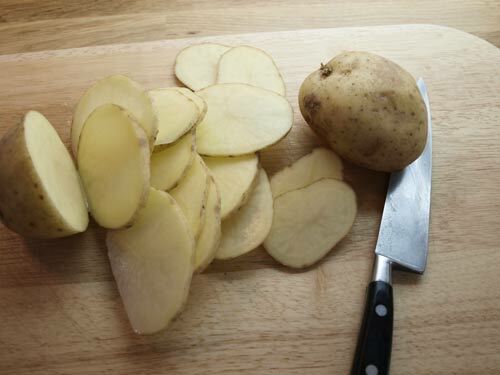 This is a bit of a variation on a recipe from the Good Housekeeping Cookery Book. The original recipe the lamb cutlets are grilled or griddled, however I had lamb steaks so decided to cook them a bit longer. 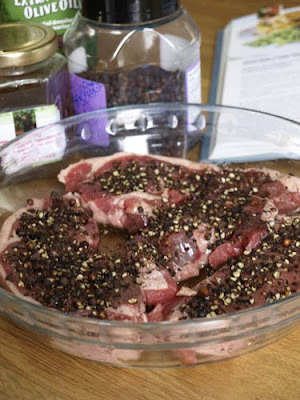 I rubbed the lamb with olive oil and then pressed the crushed peppercorns onto them. 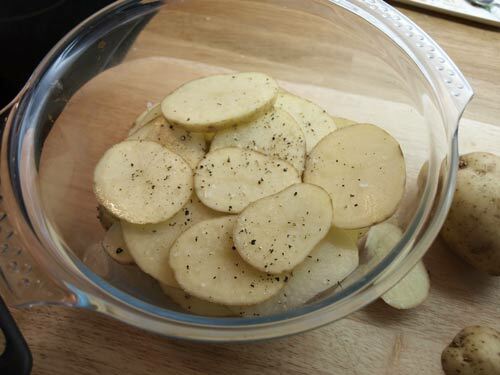 Then I prepared some potatoes, slicing them thinly and layering them into a casserole dish with seasoning in between. 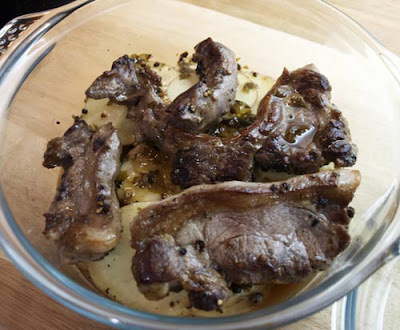 The lamb was browned and sealed in a frying pan, then half jar of apple and mint jelly added along with about 1/4 pint of chicken stock. My SIL had made the jelly last year, but if you can't get apple & mint, then mint jelly would do just as well. Then I baked it in the oven for about 40 minutes at 170C. 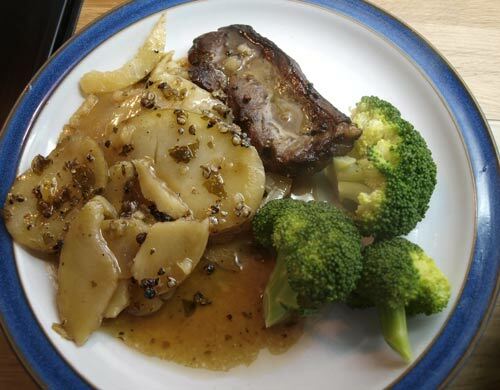 It was very good, the potatoes picked up all the lovely lamb juices along with the fiery pepper and the sweet minty jelly. Great British Waste Menu - my contribution!